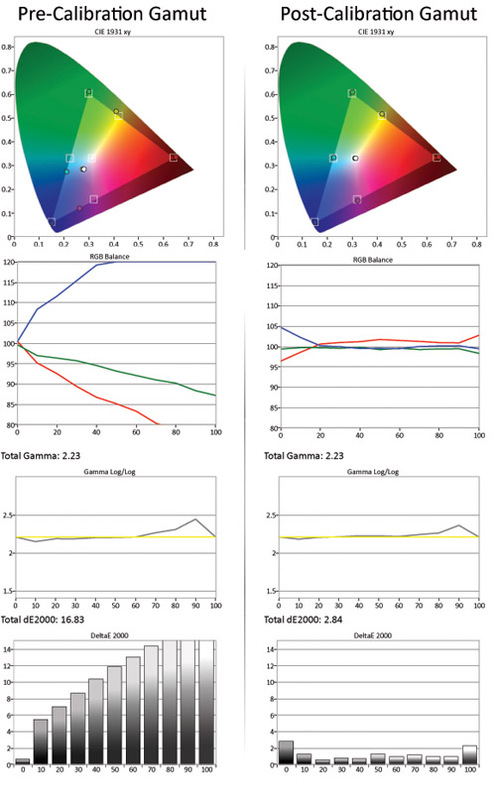 Calibration Notes: The ET60 series from Panasonic include both 2Pt. and 10 Point white balance adjustment as well as 10 point Gamma Correction and an RGB Color Management System. The calibration settings below use the 10 point white balance adjustment with the CMS being left at 0 on all settings. We left it this way because the color balance achieved in the end is superior compaged to the RGB Color Management System. 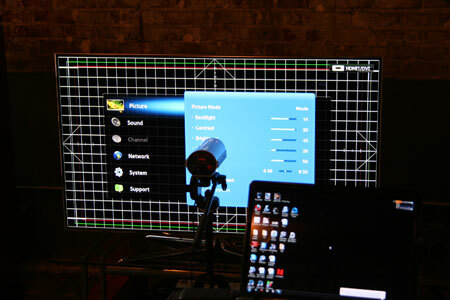 You can see how well the ET60 Overall, the TV calibrated pretty well and very similar to the Plasma ST60. Contrast was lower on the ET60. There is slight light leakage from the bottom sides. Test images looked great on the ET60. The following are the picture menu options we found to be most helpful with creating the best 3D playback. Try out our settings to see if they work for you. As always, a bit of tweaking may be necessary for the best personal results.